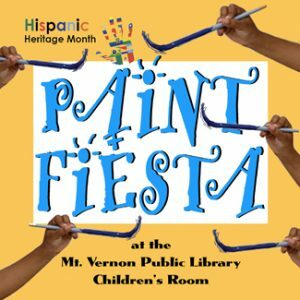 Artist Pamela Tucker leads a children’s mural making event celebrating Hispanic Heritage month. Children age 5 – 12 and their caregivers will have fun creating a painting to be displayed at the library. Free with no registration needed and all materials are supplied. To learn more about Ms. Tucker, click here. This program is made possible, in part, by ArtsWestchester with funds from Westchester County Government and its Board of Legislators.